The global advanced wound care management market is anticipated to experience substantial growth owing to several research and development based activities taking place through intensive efforts made by well-established competitive players. Several advanced techniques involving healing complex and deep wounds for those affected has now come into the picture, thus offering faster recovery. The global advanced wound care management is divided into several segments based on product type, wound type, end user type and region. Under product type, the wound dressings segment holds a leading position owing to the high need for treating wounds in hospitals, clinics, and other healthcare centers. The end use criteria is also expected to provide effective and enhanced facilities through hospital inpatient and outpatient settings segments, which are expected to rake in a large revenue during the forecast period. The worldwide advanced wound care management market registered a valuation of US$6457.0 mn in 2015. On the basis of extensive research, the same market is prophesized to clock a valuation of US$11161.6 million by the end of forecast period, i.e. until 2014. This growth is anticipated to occur at a healthy CAGR of 6.30%, during the same forecast period. From an overall perspective, the growing population of patients showing wound development due to various reasons has contributed towards positive growth in the global advanced wound care management market. Rising cases of illnesses also is another factor that has been significantly increasing the need for wound dressing products to be utilized on a large-scale, thus fueling the relevant market. Various chronic illnesses such as leg ulcers, diabetes, hemophilia, and others, may cause a frequent need for wound care dressings, thus contributing towards betterment of the market. A surge in the number of accidents has been recorded all over the globe, especially in high population economies, and nations where haphazard traffic rules exist. Accidents may cause extensive bodily damage to the victims, thus causing a great need for wound care management products. 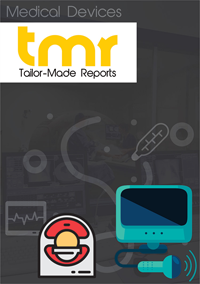 In terms of business growth, several companies are broadening the scope of their product portfolio, thus generating an interest in the product generation industry, ultimately providing tailwind to the advanced wound care management market. The global advanced wound care management market is divided into five key regional segments: Europe, North America, Latin America, Middle East and Africa, and Asia Pacific. Among these, North America held leading market shares in 2015, thus achieving the ranking of chief regional segment. Impressive growth is also expected to continue in this region in future, owing to rising cases of accidents and injuries over here. Increasing efforts made to improve treatments for identification of pathogens is also highly contributing towards a healthy growth in North America. Apart from this region, even Europe is expected to show a handsome rise in sales of products that are required for wound treatment processes. Regarding the vendor landscape, the global advanced wound care management market has a consolidated competitive scenario. In this context, Acelity L.P. Inc., Molnlycke Health Care, ConvaTec Group plc., and Smith and Nephew plc, are four key players that had registered a total market share of around 65.0% in 2015. The vendor landscape is majorly characterized by rapid investments made by the players for research and development activities. Apart from the main players, Coloplast A/S, Medtronic, B. Braun Melsungen AG, 3M, Organogenesis, Inc., BSN medical GmbH, and Medline Industries, Inc., are few other businesses operating in the global advanced wound care management market.